It’s a new month and Matthew Neer is back with a ‘new’ recycled product in the familiar form of Speed Wealth Commission System. I’m not sure how many products Neer has launched, like a lot of these proliferate Clickbank marketers, it’s hard to keep count, and even harder to look into, as the associated domains evaporate faster than your hopes. Still, the 5kFormula and Bing Your Ads remain, even if Operation 10K, Fan Page Cash Flow and Digital Bank Roll don’t. I’m not sure how long Matthew Neer has been pushing a variant of this same product – and it is the same product, just relabelled – but I suspect he’s never been an affiliate marketer for anything more than his own programs. A lot of folks come into the game, sign up to Clickbank and try a bit of paid traffic… then take a look at the programs they’ve bought (or pirated copies they’ve downloaded) and come to the conclusion that the money’s to be made in selling your own product, not spending money to push anyone else’s. I reckon Matthew Neer may well fall into that category. With advice of this searing insight and quality, you can see why he felt his calling was as a product marketer: wisdom reminiscent of Jesus on the Mount. It’s said Gioachino Rossini (Barber of Saville) was a notorious self-plagiariser, and if that’s so then Matthew Neer must run him a close race: you’ll note the remarkable similarities between all of Neer’s surviving programs’ sales pages. That testimonial by Jamie Lewis for instance: it just never gets old. But for those of you not familiar with Speed Wealth Commission System in its previous incarnations, let’s go through it again. Speed Wealth is a franchise product a la MOBE etc. At least a mini-me in the same vein. It’s kind of a thing just now, and the Four Percent Group is in the same mould, too. Except Speed Wealth is a lot smaller – though with grand ambitions I’m sure. So, the ‘system’ isn’t a hack on traffic generation or Swami mind control sales copy or even spotting and riding the wave of hot niches, it’s selling Neer’s Speed Wealth program itself as the means to generating your internet riches. Which is what it’s interior training and marketing all revolves around on the inside. 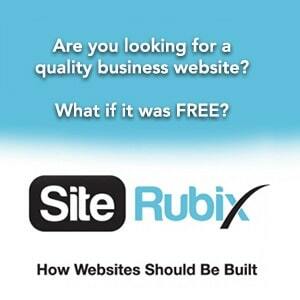 It’s why you get hosting and a sub-domain all ready made for you. And a funnel all ready written out with how great the Speed Wealth system is. 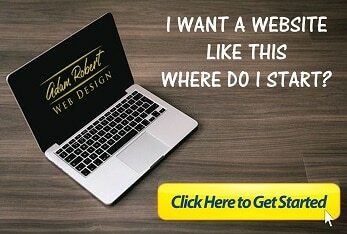 You’re not getting that to then go market other Clickbank products! So… you buy the product – and the numerous upsells – and then you spend money on driving traffic to Neer’s product so he gets the sales and monthly subscription fee. Is it a scam? No. That term gets bandied about a lot and even the most fly-by-night internet marketers love to point out to Google that this is “defamatory” and “please take the page down” as they do provide something for the money, they don’t just totally swindle it out of folks and disappear. And that’s true. You do get something for your money here, and you get a cloud based piece of software that looks very nice and provides you with the training to sell the product that you’re currently logged onto. The training to sell the training you’re working through in other words. And you can make money with that. Some people do on all those other systems based on this business model. You, I’m not so sure about, even with up to 100% commissions. Like I’ve said in the past, I’m just not a fan of these pass-the-parcel MLM-lite products, that are selling nothing but themselves as the product. Okay this one isn’t of MOBE proportions at only $47 – plus $19.95 recurring monthly (you didn’t really think that hosting and domain were free?) – and upsells. I’ve written a couple of tomes of late on other programs, but I don’t know what more I can really say on this. There’s the phoney scarcity countdown timer that resets on each page load. There’s all the usual promises of making money on autopilot, and with seeming ease, and the usual pics of the program owner living a life that’s a cross between Hugh Hefner in his prime (RIP) and Instagram Saudi Royalty. I particularly like the cross-program repeated clip of Neer dealing out cash bills like they’re being spit off a printing press. The rest is the usual stock images of exotic locations, cars and apartments/hotels. This could be your life too! I was ordinary once, just like you! And even more down on my luck! Let me save you – signup here! That’ll work if you happen across the right people, at the right time in their life i.e. desperate. The problem (well, one of the problems) with Done For You (DFY) marketing funnels is that you’re drawing on the same stock websites, landing pages and sales copy as everyone else. That is not good SEO-wise or from the point of view of market saturation: there’s nothing to distinguish your pitch from anyone else’s. Plus all that belongs to the program, not you. When you cancel, you can’t keep any of it to use promoting something else. As I say… I don’t know, it’s your money. Maybe I’m the one in the wrong for eschewing these things. They proliferate so much that maybe I should give in and jump up on the bandwagon too: you feel like you’re fighting a losing battle. So, yeah, that was a short one. It’s a short program, and I don’t really have the will to go digging deeper on Matthew Neer or listen to his pitch again and deconstruct it. I might in future, but not today. Anyway, if you’re interested in making money online, and want to try something that offers more than just itself as the product, check out Wealthy Affiliate. There’s no BS about it being the vehicle to your own printing press of money, things are a bit more realistic, and take longer. So if it’s instant riches you’re after, this won’t be for you. But if you’ve got a bit of patience and perseverance, then have a look. It’s free to join, no “credit card required for verification purposes” BS, and you get a week’s worth of full membership to decide if the place is for you. After that your membership reverts to the free level. 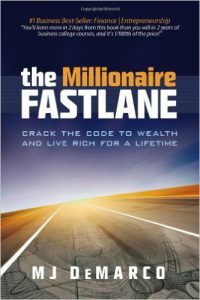 Crack the Code to Wealth and Live Rich for a Lifetime! 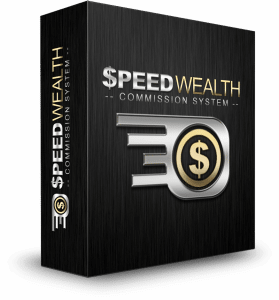 Do you need to have a Click Bank account so you can benefit from the Wealth Commission speed system? I have my interest in joining this speed wealth commission but quiet nervous because i don’t have money and i don’t want to be a victim of scammers. thank you best regards.